The Provost’s Office was built to the south of the church building in 1910 by the Berlin state architect Robert Leibnitz. The ruins of the medieval buildings were partially demolished, some – such as the cloister, the "Chapel of St. John" and the "refectory" – were included in the new building. 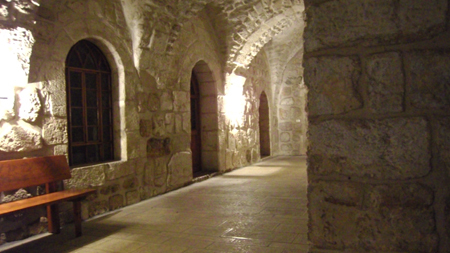 The medieval cloister is double-storey and forms the inner courtyard of the building complex. To the south lies the "Chapel of St. John", originally the refectory of the Benedictine monastery. On the east side of the cloister is the "refectory", which is now used as a community hall for receptions.